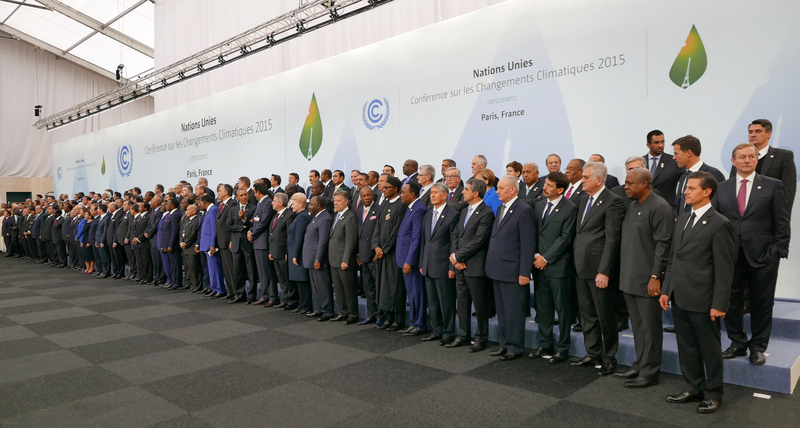 What did your country pledge to do for climate change at the 2015 Paris Conference of Parties? After the agreement of the Paris Conference of the Parties (COP21) climate change agreement in December 2015, many representatives from business, government, international institutions and multiple other sectors spoke out in approval of the agreement. According to the World Economic Forum (WEF) this is what a few of them had to say. COP 21 was historic not only for the fact that a global climate agreement was reached but also for the way in which the agreement was reached. This process started long before world leaders gathered in Paris to attend the conference. In the lead-up to COP 21 it was agreed internationally, and between the countries themselves, that each country would be required to submit its own Intended Nationally Determined Contribution (INDC). Parties were invited to submit their own INDCs by the first quarter of 2015. Each country’s INDC would outline the actions that the national government of each country would take to reduce greenhouse gas (GHG) emissions and adapt to climate change. The United Nations, which is responsible for housing the treaty which forms international law, announced that on 5 October 2016 “The threshold for entry into force of the Paris Agreement was achieved.” The Agreement officially entered into force on 4 November 2016 and to date 129 of the total 197 Parties to the Convention have officially ratified the Agreement. The map enables an interested observer to clearly see what his/her country has promised to do, and by when, and whether or not they have ratified the Agreement. Comparisons can also be made between countries located near to one another or on the other side of the world. It also enables for businesses, civil society, governments and other stakeholders to hold countries to account in light of what they have promised to do.